Is Your Beneficiary Information Up To Date On IRAs . . .
Is Your Beneficiary Information Up to Date on IRAs and Other Retirement Accounts? Have You Reviewed This Important Information Lately? When financial planners ask if a client’s estate plan is up to date, we often hear something like, “I really should look into that,” or, “We did something 20 years ago . . . what was the name of that lawyer?” It’s easy to put off or avoid altogether, but going without an updated estate plan is truly a mistake that can bite you (or worse, your family). We’re not attorneys, but we can help you find one if you haven’t addressed this important subject. At the very least, we can remind you to keep the beneficiary listings on your IRAs and other retirement accounts up to date. Here’s one thing you’ll learn quickly if you listen to attorneys talk about estate planning: Your Last Will and Testament usually does NOT determine what happens to your retirement accounts. Every retirement account has its own named beneficiaries, and if you don’t keep each one up to date, someone may be in for a rude awakening (or an unintended surprise). In the course of reminding clients about this, we’ve seen some surprises: parents who forgot to add children after they were born, married couples who still have their parents listed, and divorced clients who meant to make a change but never did. Sometimes, a client has neglected to name beneficiaries at all. If this isn’t fixed, a carefully accumulated nest egg could be distributed according to the small print in an account opening agreement with the brokerage firm. No one enjoys contemplating their own demise, let alone paying an attorney to talk about it. Still it’s really not the last thing you want to do. That would be to leave a mess behind for your family and turn a difficult time into a contentious one. Please talk with a competent estate planning attorney, and when he or she gives you some homework involving your accounts, call us. Check the beneficiary listings on your IRAs and other retirement accounts, and let us know if we can assist with any updates. We’ll be glad to hear you’re planning ahead and help you however we can. This post expresses the views of the author as of the date of publication. America First Investment Advisors has no obligation to update the information in it. Be aware that past performance is no indication of future performance, and that wherever there is the potential for profit there is also the possibility of loss. Katerina Wiese and Matt Holloway are CERTIFIED FINANCIAL PLANNER™ professionals trained to help our clients with a variety of planning decisions. 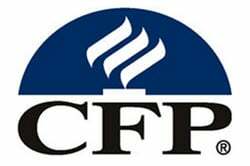 Certified Financial Planner Board of Standards Inc. owns the certification marks CFP®, CERTIFIED FINANCIAL PLANNER™ and CFP® in the U.S., which it awards to individuals who successfully complete CFP Board’s initial and ongoing certification requirements. Registration with the Securities & Exchange Commission is not an endorsement by securities regulators and does not indicate that an advisor has attained a particular level of skill or ability. Be aware that past performance is no indication of future performance, and that wherever there is the potential for profit there is also the possibility of loss. Every profession has its "tried-and-true" principles. For us, investment management and financial planning mean putting the interests of our clients first. Based in Omaha, we have a caring, commonsense way of doing business that is almost exactly the opposite of the Wall Street wheeler-dealer stereotype. We don't sell "products" and don't charge commissions. If you have $300,000 or more available for long-term investment, we may be the Old School answer you've been looking for.